We have spent more than a year researching and testing various propellers, thrusters, nozzles, electronics and batteries to create the most powerful water jet propulsion system in the world. 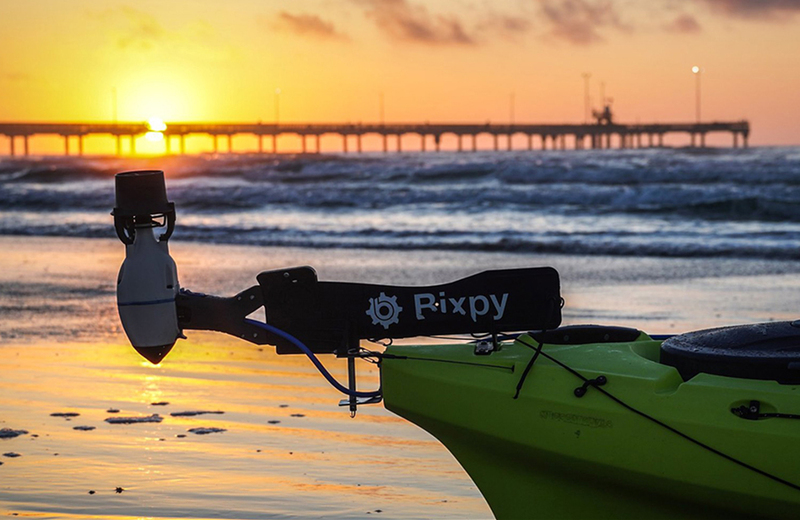 At roughly the size and weight of a 1L bottle of water, the Bixpy Jet generates enough thrust to drive a 240 lb kayak with two adults against ocean tides and wind! Developing the Bixpy Jet was only the beginning. We have also developed a wide array of attachments and adapters that will allow you to attach your Bixpy Jet to virtually any small watercraft you can imagine. Even more exciting is the fact that you can boost your swimming, diving or snorkeling adventures with the handheld battery pack that turns your Bixpy Jet into the ultimate diver propulsion vehicle. With a compact design and lithium batteries that will run your Bixpy Jet for hours, adding a Bixpy Jet to your next water adventure is not only a great way to explore more, but a great way to add a layer of safety to your trip. There is nothing tougher than having to fight current, wind or a changing tide after a long day on the water. Knowing you have the option to assist your trip back home is the greatest feeling of safety and security. Because the Bixpy Jets have impellers instead of propellers, you can safely use them around kids and pets and not worry about hurting anyone. In addition, the thrusters have multiple auto shut off mechanisms that will prevent them from accidental starts, over heating and running loose. The Bixpy Jet is also uses clean electric energy with zero emissions and no pollutants going into our waterways. The thrusters are 100% sealed and run on rechargeable lithium batteries. So you can use them in sensitive waterways without worrying about polluting the water. And since the Bixpy Jet is a direct drive thruster, it is whisper quiet. 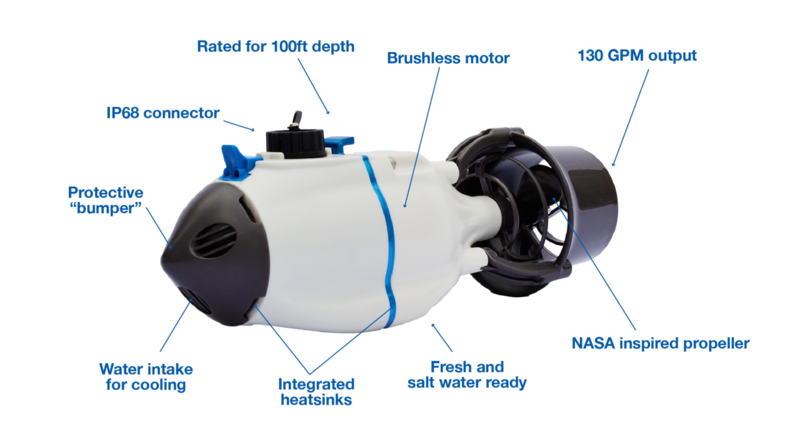 So it won't disrupt your fishing trips or sound like you're running a tank underwater! Bixpy Jet has been selected as the winner in the Sport and Active Lifestyle Technologies Category at CONNECT’s 29th Annual Most Innovative New Product Awards. The award recognizes and lauds groundbreaking products released within the last 18 months from San Diego-based innovation companies. To be recognized and win the Most Innovative Product award of the year in Southern California is an unbelievable honor!